The Mastersingers' spring program was a celebration marking the final concert directed by the choir’s founder, Clyde Thompson. Several favorite works, performed by the choir over the past twelve years were heard, including the stunning "Agnus Dei" by Samuel Barber. New works included pieces by Clyde Thompson written especially for this occasion. 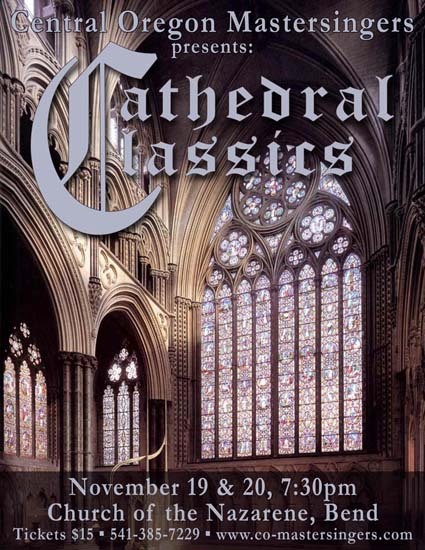 The program made a broad sweep through six centuries of great choral music from the Renaissance to the present. African-American spirituals and traditional old American hymns rounded out this program that put the beauty of choral singing on full display. The Central Oregon Mastersingers presented their annual Christmas concert, with special guests, The Dove String Quartet and harpist Laura Leighton, in a program of Christmas music from the 17th to the 21st centuries - from gems of the Baroque era to works by leading contemporary composers; from traditional carols to exciting gospel and African settings for the season. These concerts marked the beginning of the Mastersingers’ twelfth season, and the last season that the group was under the direction of founder Clyde Thompson. In the fall of 2017, the baton was passed to Christian Clark, a member of the Mastersingers who is also very active as a choral director in Central Oregon. 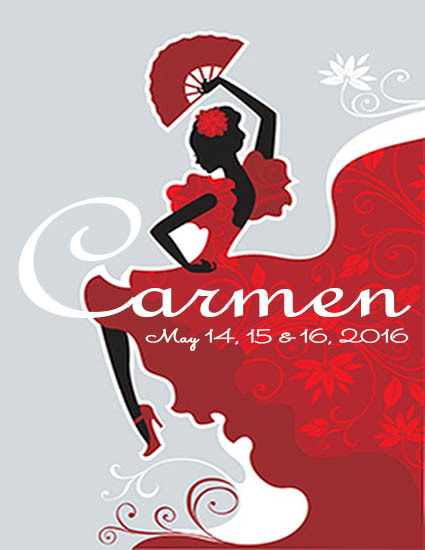 All the stops were pulled out when the Mastersingers joined the Central Oregon Symphony and OperaBend for performances of one of the world’s most beloved operas - “Georges Bizet’s “Carmen.” Guest artists from around the Pacific Northwest were featured, including Bend native Sarah Mattox in the title role of Carmen. 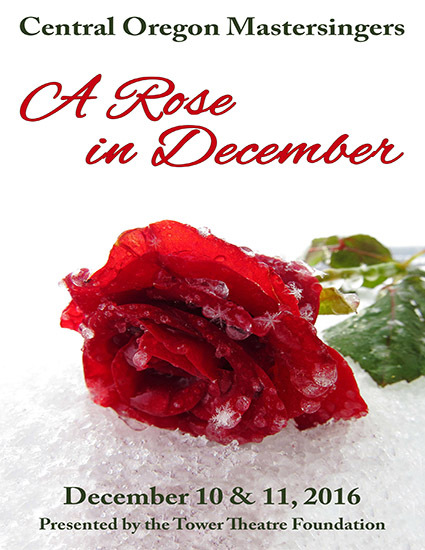 Presented December 2015, 2011, 2008 and 2007. 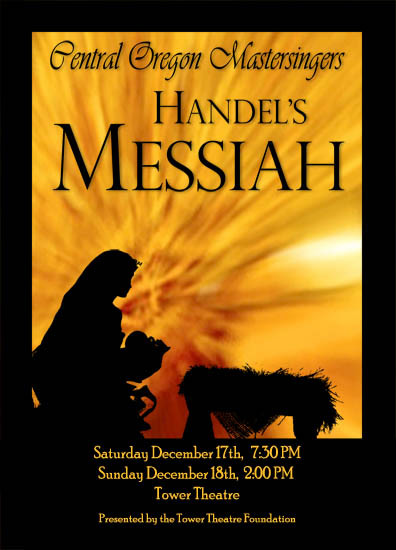 Handel's Messiah has won such an honored place in our culture and in our minds and hearts over the past two and a half centuries that many consider it the world's greatest choral work. Annual performances of it have been given without break since 1750, with forces ranging from a handful of singers standing around a piano, to massed choruses with as many as 5000 people. 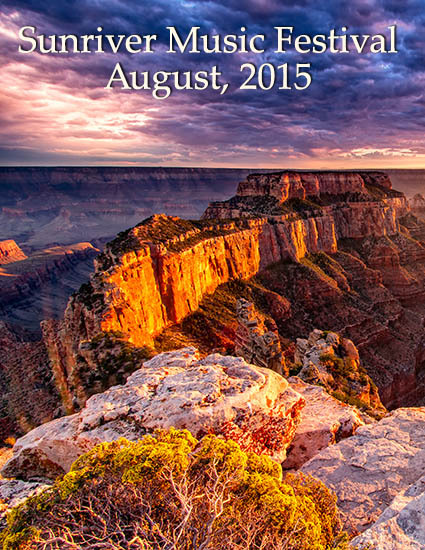 The Central Oregon Mastersingers again joined the world-class Sunriver Music Festival Orchestra under the direction of George Hanson in two sold-out concerts during August of 2015. On August 7th, the Festival's Pops Concert presented patriotic classics such as “Battle Hymn of the Republic," "1812 Overture" and "America the Beautiful" along with the sublime "Promise of Living" by Aaron Copland, and John Williams' "America: the Dream Goes On." In addition, the Festival Orchestra performed Grofé's "Grand Canyon Suite" while hundreds of brilliant photographs of the Grand Canyon were projected onto a 440-square-foot, three-panel, panoramic screen suspended above the orchestra. On August 15th, the Mastersingers were privileged to be a part of the presentation of one of Leonard Bernstein's most beloved compositions, and a choral masterwork, "Chichester Psalms," which premiered fifty years ago in 1965. This special concert also included Aaron Copland’s choral gem "The Promise of Living" and his iconic "Fanfare for the Common Man." Works by John Rutter (featuring Central Oregon native Kyle Ruggles on flute), and Felix Mendelssohn (the great "Italian" Symphony) rounded out the program. 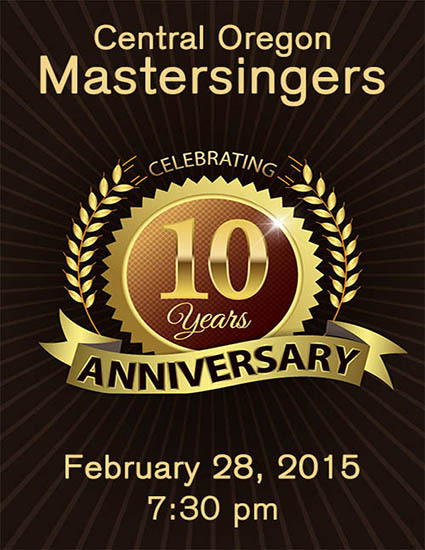 To celebrate our Tenth Anniversary season, the Mastersingers selected favorite works from the past nine years to perform again on this special concert, including Eric Whitacre's "Leonardo Dreams of His Flying Machine," Lauridsen's "Sure On This Shining Night," and Brahms' "Liebeslieder Waltzes." Several small ensembles from the Mastersingers presented music ranging from Renaissance madrigals to '40s swing, barbershop, and contemporary pop. View the full program from this concert. 106 wonderful voices - 53 Mastersingers and 53 Youth Choir singers - joined together in a concert filled with traditional carols and new music for the season, including Morten Lauridsen’s luscious "O Magnum Mysterium." The Mastersingers were honored to have as their special guests The Youth Choir of Central Oregon, directed by Beth Basham. 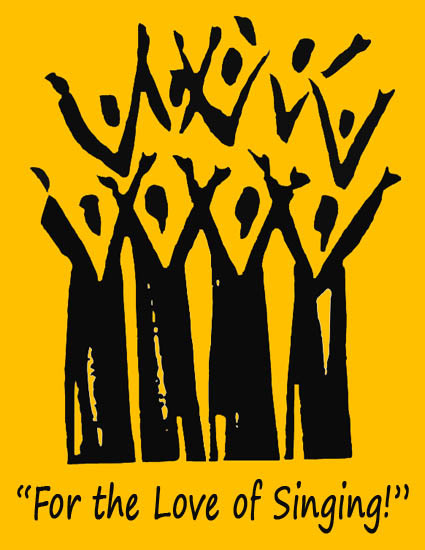 Nationally renowned as one of the top children’s choirs in the country, they have toured throughout the world. "A Family Christmas" marked the beginning of the 10th season for the Mastersingers, and the 25th season for the Youth Choir. The Central Oregon Mastersingers with the Sunriver Music Festival Orchestra, under the direction of George Hanson, presented a program of sparkling music inspired by the works of William Shakespeare, including Mendelssohn's "A Midsummer Night's Dream," Henry Purcell's "The Fairy Queen," and Ralph Vaughan Williams' "A Serenade to Music." Once again, the Mastersingers had the opportunity to collaborate with the world-class Sunriver Festival Orchestra. It was a scintillating banquet of gorgeous music! 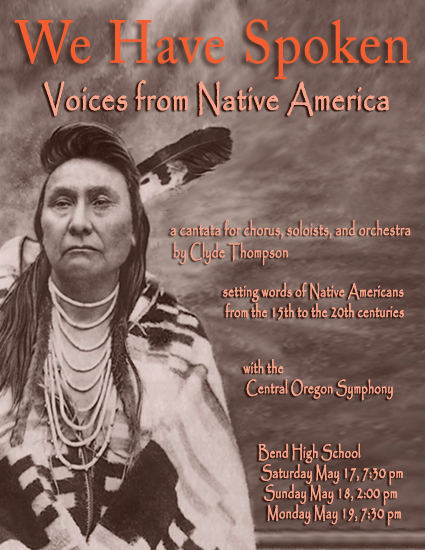 The Central Oregon Mastersingers presented a very special program - a collaboration with the Central Oregon Symphony in a performance of Clyde Thompson's concert-length cantata, "We Have Spoken - Voices from Native America." This work was literally 23 years in the making. It began in 1991 as a doctoral dissertation, and was later expanded into a full-length cantata for chorus, soloists and two pianos, and premiered in 2002. As what felt like a final step in completing the composition, Clyde orchestrated it especially for these concerts with the Central Oregon Symphony. The libretto of the cantata is made up entirely of the words of Native Americans from before Columbus's time up to the twentieth century, and traces the history of North American Indians through those centuries of change and turmoil as their way of life was gradually overwhelmed by white culture. 70 wonderful musicians filled the stage as the Central Oregon Mastersingers and 24-piece orchestra presented "A Baroque Christmas," featuring J.S. 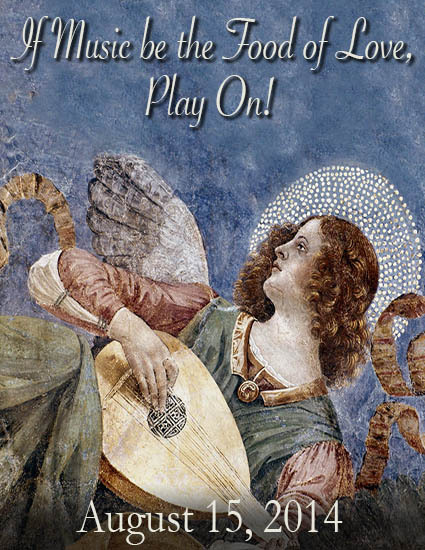 Bach's brilliant Magnificat for chorus, soloists, and orchestra - one of Bach's most beloved choral works, and a cornerstone of the Christmas repertoire. Also on the program were familiar carols and lighter works including favorites from Mannheim Steamroller, and a new setting of The Twelve Days of Christmas for chorus and orchestra arranged especially for these concerts. Soloists for Magnificat were Trish Sewell, Melissa Carter, Katy Hays, Christian Clark and Steve Osterkamp. Bend composer and pianist Scott Michaelson made a guest appearance, leading the choir in his setting of We Three Kings. 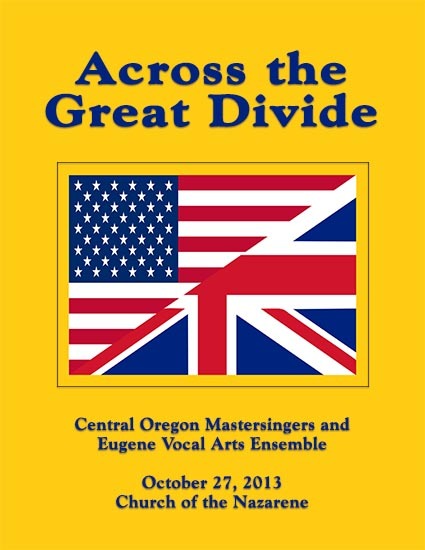 Two great choirs came together for a concert of American and British choral music. The Eugene Vocal Arts Ensemble, a 34-voice select choir, presented American music including the luscious "Chansons des Roses" by Morten Lauridsen (a work inspired by Portland, Oregon, "the City of Roses"). The Mastersingers countered with music from across the Big Pond, drawing on the rich choral tradition of the British Isles, and featuring Benjamin Britten's lively "Choral Dances from Gloriana," in commemoration of the composer's 100th birthday. The choirs combined for a rousing medley of Revolutionary Era songs pitting the Brits against the Yanks, and all voices joined together in a resounding finale. 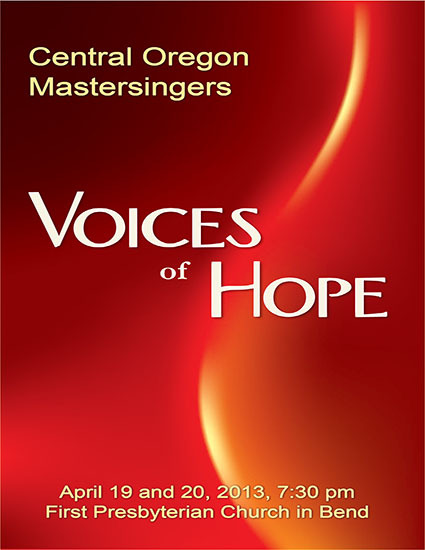 The Central Oregon Mastersingers' spring concert was a tribute to victims of violence. Sparked by the December, 2012 tragedy in Newtown, Connecticut, the program spoke to our yearning for peace and reconciliation in times of travail. Psalm settings, spirituals, gospel songs, classic choral works and deeply moving new music had been chosen for their affirmation of hope, healing, renewal and optimism. A featured work was a “Mosaic Requiem,” combining movements from different settings of the Requiem Mass by Herbert Howells, Maurice Duruflé, John Rutter and Eleanor Daley. The Bells of Sunriver joined us for a Christmas celebration that featured new and traditional music for the holiday. The centerpiece of the program was Benjamin Britten's "A Ceremony of Carols" for women's chorus. 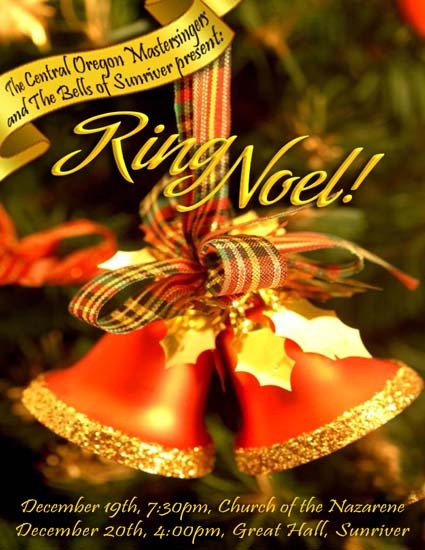 The cantata was written in 1942 while the composer was onboard a ship returning to England from America during the darkest days of World War II. His use of English poetry from the Middle Ages and Renaissance for these carols is testimony to the homesickness he felt for his native land that prompted him to make the return voyage from the safety of America. 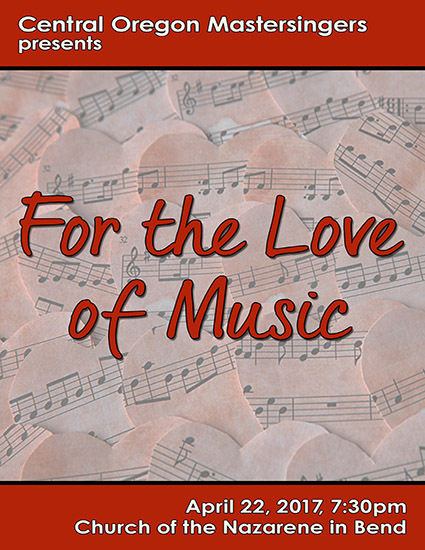 The work is a perennial favorite with audiences and choruses alike. 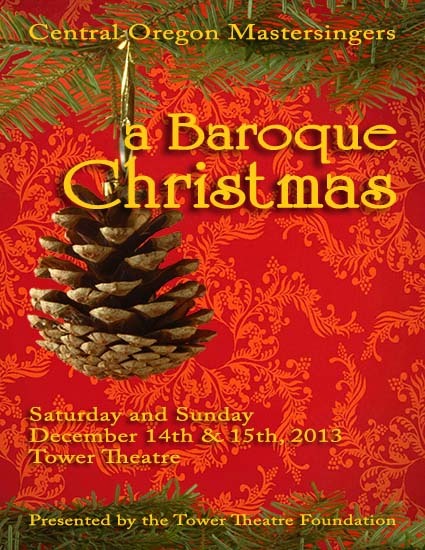 The women of the Mastersingers were joined by Central Oregon harpist Rebecca Smith for this cantata. The men of the chorus presented three works of their own, including a richly sonorous rendition of "Silent Night." 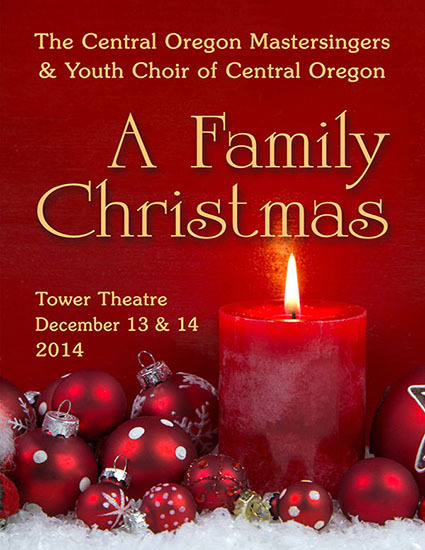 The Central Oregon Recorder Consort rounded out this program of music for the season. To mark the release of our CD, Harvest, we invited our friends and patrons to a special free concert and reception - an hour of music, followed by desserts. Harvest was a project three years in the making, and this CD was truly a harvest of our efforts over that three-year period. It is now available for purchase on our website. This was an occasion to celebrate the sheer joy of singing, and by the end of the concert, we had everyone singing! The 56-voice Mastersingers joined the world-class Sunriver Festival Orchestra in Beethoven's iconic Ninth Symphony, the "Choral Symphony," as part of the Festival's 35th season. This landmark concert marked the debut of the Festival's artistic director and conductor, George Hanson. Twenty of the Mastersingers also joined the Festival Orchestra on August 20 to perform the "Liebeslieder Waltzes" of Johannes Brahms. Originally scored for voices and piano, this performance offered a rare opportunity to hear these beloved choral works performed with full orchestra. 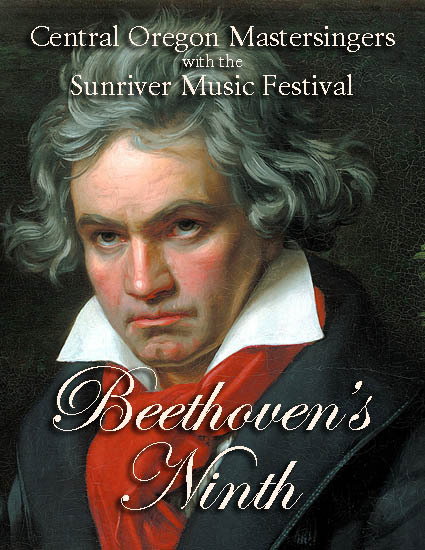 Every year the Sunriver Music Festival brings together top professional musicians from around the country to present the finest performances of classical music in Central Oregon, and the Mastersingers are honored to have been a part of these concerts. 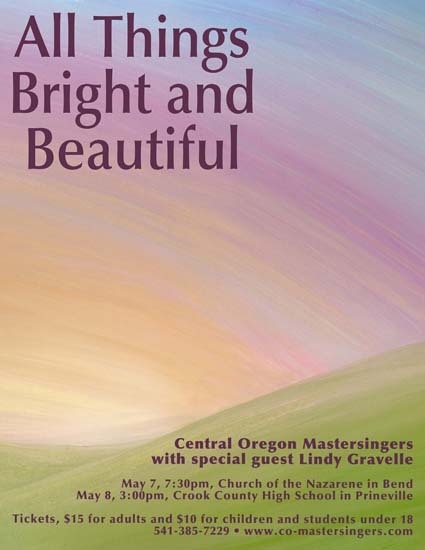 The Central Oregon Mastersingers explored a variety of musical settings through the sublime poetry of e.e. cummings, James Agee, Emily Dickinson and others. From Monteverdi to the Beatles, from Samuel Barber to George Gershwin, from gritty urban landscapes to the open sea and on to an exultation of the divine, this concert touched many tastes and styles. 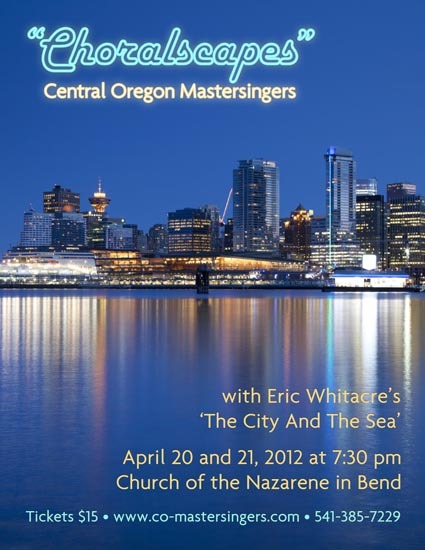 Featured works were "The City and the Sea" by Eric Whitacre and selections from Gershwin's beloved "Porgy and Bess." Special guest Ed "The Whistler" Sharlet joined the choir in Paul McCartney's "Blackbird." 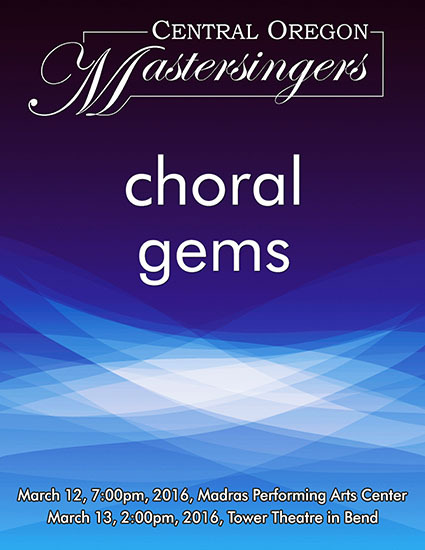 The Mastersingers presented two American choral masterworks: "Lux Aeterna" by Morten Lauridsen, and "Chichester Psalms" by Leonard Bernstein. Morten Lauridsen is in the forefront of American choral composers today. Since its premiere in 1997, "Lux Aeterna" has been perennially one of the most often performed choral works around the world. The title translates as "Eternal Light," and it is the image of light, of divine spirit, that Lauridsen weaves throughout the text of the five-movement work. "Chichester Psalms," Bernstein's most beloved choral work, was composed in 1965 for an annual music festival held in Chichester Cathedral in England. Bernstein's commissioners may have expected a more erudite, academically fashionable style of music when they asked him to write it, but try as he might, the composer could not avoid being himself. The visceral, infectious rhythms and heart-catching melodies he created in this three-movement setting of psalm texts assures it of being a joy to sing and to hear. Along with Lauridsen's "Lux Aeterna," the "Chichester Psalms" has won a place as one of the most popular and often-performed choral works from the twentieth century. The Mastersingers took a festive romp through music that revels in the simple joys of being alive . . . from Walt Whitman's "My Spirit Is Uncaged" to Vaughan Williams' "Greensleeves," with stops along the way for a hilarious menagerie of farcical verse from Ogden Nash: "Animal Crackers," by Eric Whitacre. Featured guest Lindy Gravelle, Central Oregon's own renowned singer/songwriter, performed some of her own works and joined the Mastersingers in arrangements created especially for these performances, including a setting of her beautiful "No Place Under the Sun Like Oregon." 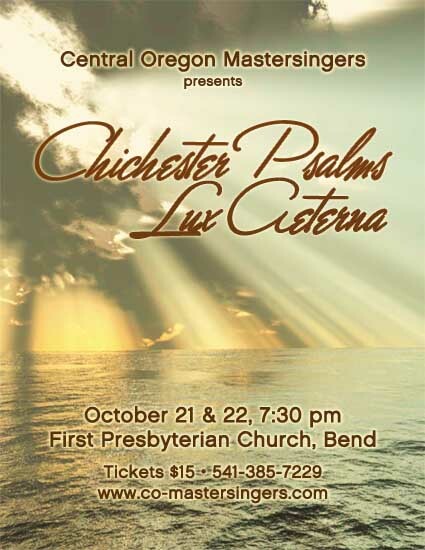 For its 2010 fall concerts, the 45-member Central Oregon Mastersingers presented a program of sacred choral works, featuring the 40-minute "Dixit Dominus" for chorus and orchestra by George Frederick Handel, written when the composer was just 22 years old. Full of youthful exuberance and precocious skill, it still has the power to overwhelm - an explosion of creative energy by a young composer brimming with confidence and intent on making his mark on the musical world. Other works included "And There Was a Great Calm," a new cantata by the young American composer Tarik O'Regan that covers the emotional spectrum from deepest meditative elegy to ecstatic rhythmic exuberance, and pieces by Lauridsen, Rachmaninoff, and Messiaen. The haunting "Miserere" by the early Baroque composer Gregorio Allegri was heard, a piece deemed so special that for centuries it was reserved for the exclusive use by the papal choir in Rome, excommunication being the penalty for surreptitiously copying it. Members of the Central Oregon Symphony took part in the performances of this music, most of which had never before been heard in Central Oregon.